Every week we observe marvelous 3D printed items and devices complemented with a number of moving designs. But quite a few of them can be called impressive and as inspiring as PLA working replica of the Toyota 4 Cylinder Engine 22RE developed by Eric Harrell. To remind you, his recreation is a reverse-engineered engine, whose size makes only 35% of the original engine, just because that was the largest option possible for his RepRap Pursa 3D printer. Joined together with magnets, eighty separate components required probably almost a one-kilo roll of PLA filament and the tool was completely printed in more than thirty-four hours. He was right to say that at that time such a task was a challenge for you as well as your printer. All that took place last January, and today Eric is ready to do more. 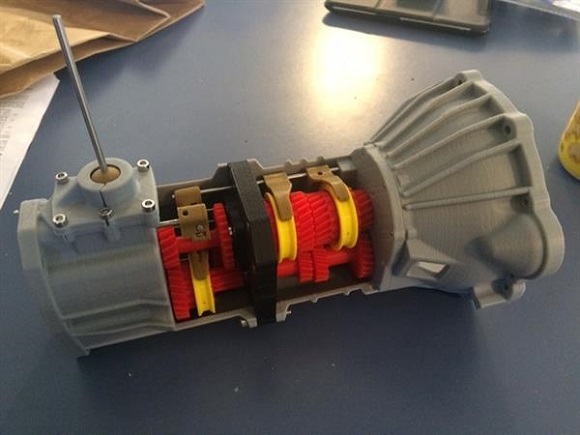 He chose a much larger and more complex model, and this time he managed to 3D print a four-wheel-drive gear box for the previous replica – a five-speed transmission Toyota 22RE. This 100%-working small reproduction and matches his previous creation, complemented with a reverse gear. Like its forerunner, it’s not suitable for beginners. The model is more complex in comparison with the engine. In fact it is a lot more difficult to assemble it. Eric decided not to write any tutorial, because there are so many parts and steps to include them into assembly pictures. 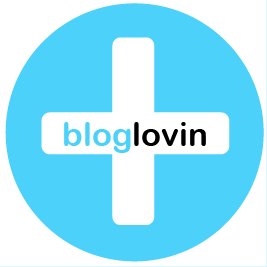 If you wish to try it, all the files are available on Thingiverse to download them and then you should follow the guideline. You will have to specify, which of the holes should be reamed, tapped or drilled, but there are not many of them. Feel free to ask any questions. Check the excel spread sheet for the parts and their descriptions with some notes about them. Many of the parts will need a Brim to forestall curling. If you need any extra screws, bearings and a rod, order them from Amazon. In general, the project is challenging and difficult. In fact, it’s the first step to 3D printed cars. This transmission box can be used together with the engine, although you may have to alter the engine stand to let it combine with the transmission box. Eric explained in one of the interviews that he decided to create this replica as following up his previous invention. His first 4 cylinder Toyota engine was a success, so he produced this transmission. A great number of people turned out to be interested in this project. It was such a surprise for Eric, because he thought that because of extreme complexity and long printing time, few people would be engrossed in it. 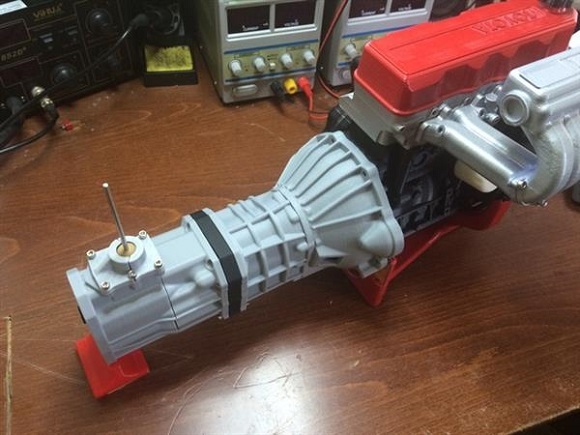 By now eight people have recreated the engine, and a lot more are in process. Eric has a degree in Mechanical Engineering. 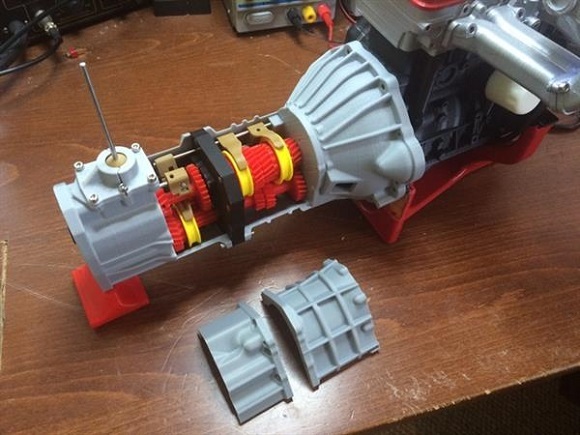 He has had some experience working with real engines and its parts for a while, that’s why he decided to 3D print replicas of the engine parts for both of his projects. He knew that there were no scale models of engines, which would show how the components worked and to let anyone hold and move the parts. But now its educational value has become clear. Probably any trade school would like its students to manage the plastic copies prior to dealing with the real things. Eric hopes that his 3D printed replica will give a good idea of the way the parts work. 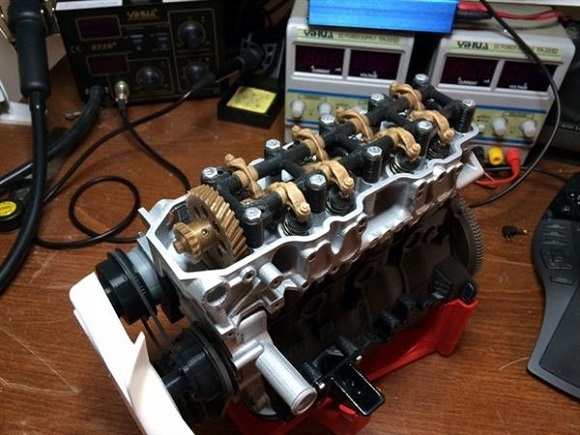 If someone is to produce his engine or transmission, they will have a good idea of how to assemble an actual engine, because they imitate the real parts. That is also good, as the majority of people would never have a chance to recreate a transmission or an engine on a 3D printer. 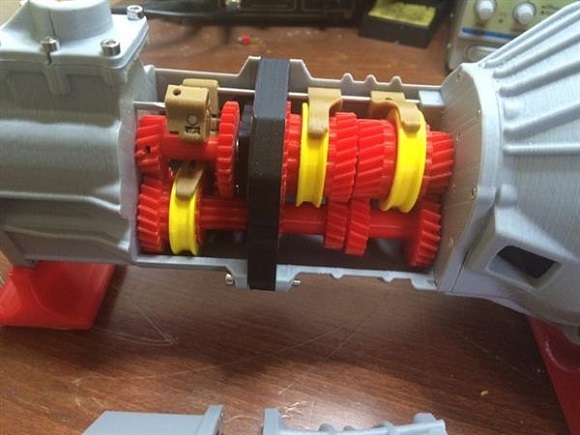 Surely keep in mind, as it is made of plastic, it can’t be an absolutely working transmission, but it moves in the same way basing on the same idea. 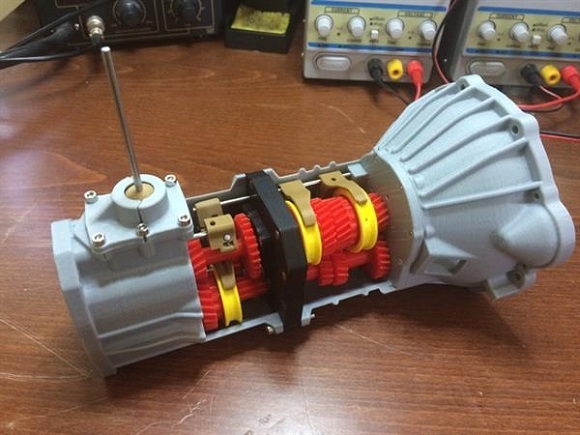 To make it a fully working transmission, it should be made of a more durable material (not PLA) and made in full size. Eric designed his entire creation in SolidWorks software, just as it had been with the engine. He took the measurements with calipers, and each part was redesigned with FDM printing in mind. He printed each file in succession on his Kossel Mini and RepRap Prusa 3D printer. It took him 48 hours to print it in PLA. He added only bearings, fasteners and a 3 mm rod. It would be reasonable to ask: “What comes next?” after we’ve seen such impressive projects. 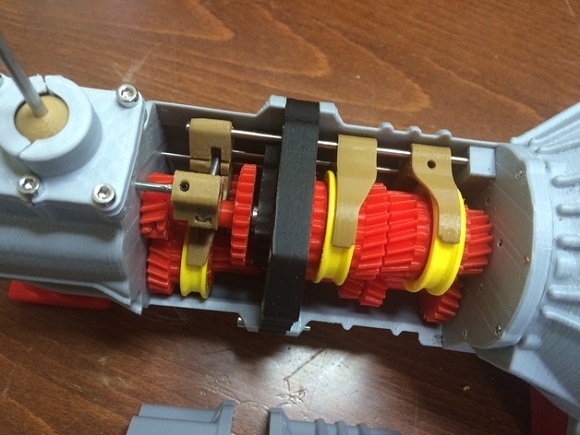 So… Eric is halfway to 3D printing a car! But Eric assured that the next step for him would be transfer case and probably a differential. Well, wait and see!